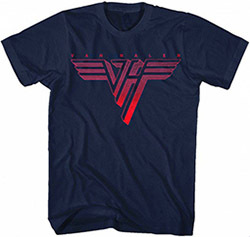 It's not about songs Van Halen has covered, but rather Van Halen songs covered by other bands. Those are really cool, but I was talking more about a cover done on an album, not necessarily by a cover band. This may take some research, because not a lot of people cover VH tunes, but I believe there was a Tribute to Van Halen released not too long ago, with various artists contributing tunes to it. yeah there are a few tribute albums... I've never found most of those covers to be great (Yngwie or Lynch doing VH). But I"m sure there are some good renditions in there. I do love the Adrenaline Mob version, though. oops. ok. You can kill this one Brett. Sorry. Don't be! It's a fantastic topic...I just knew that there was a multi-page thread already going elsewhere on the forum. Well, I have all 10+ VH tribute albums, which I virtually never listen to anymore, so I'd have to think about it. Oddly enough it might be that "Could This Be Magic?" from "Everybody Wants Some," the first one. Such a different take. Nah, I'll probably go with one of the star-studded "Little Guitars" ones that came out in '00. Maybe Stephen Pearcy doing RWTD, just because I love Ratt. "I'll Wait" with the hockey organs was cool on the "Runnin' with the Devil" one. Although Ralph Saenz doing Dave doing MJ in "Beat It" was pretty sweet on that "Eruption" dance one the Punks did. I would choose AP put they're a tribute band so I don't count that. Everything else is interesting the first time, but when you're covering the best...come on. I'd rather hear a completely different take. Paul Anka's "Jump" was interesting. The bluegrass stuff was cool. Nerf Herder's "Van Halen" was a great tune. Last edited by DFVH5150; 03.17.16 at 05:08 PM. Yikes. That was not good. I guess I don't mind Billy Idol and Steve Stevens' version of Jump. At least they're top caliber artists. But it's still Jump, alas. There's bootleg on YT of Poison doing "DOA." If I can count it, then my answer hand-down is Extreme's cover of MS. By a zillion.